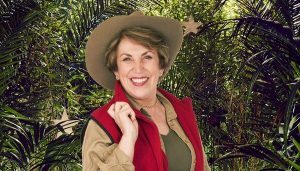 Fulshaw WI invite you to join them in ‘Lies, Damn Lies and Politicians…a light-hearted look at the strange world we live in’ with Edwina Currie, who will be talking at the URC Church, Chapel Lane, Wilmslow on Monday May 13th at 7.30pm (doors open at 7.00pm for refreshments ). Tickets cost £5 with all profits going to East Cheshire Hospice. Originally an MP for the Conservative party, Edwina Currie is now a writer and TV personality. She has appeared on reality programmes such as Hells Kitchen and Strictly Come Dancing, and I’m A Celebrity… Get Me Out Of Here. Her political (salmonella egg controversy) and private life will certainly make this an entertaining talk. Contact Donna Johnstone on fulshawwi@yahoo.co.uk for tickets.